I guess this kind of builds upon my ‘common sense being trumped by common practice’ post (View Here) and specifically relates to the wonderful world of goalkeepers. Now, I fully recognise the ‘goalkeeper union’ will close ranks on some of the points I make here and I think they will see this from two different perspectives. The people that don’t fall into either category at first reading will probably suggest I know nothing, what you have always done is right and you are the experts. I’m hoping that upon a serious bout of personal reflection that I might be able to move a few of those over into category 2 before they eventually find their own way into the first group. But I’m not saying I’m right, or there isn’t more than one way to do it, so these points are coming from my own philosophical lens, so please bare that in mind as you read this. Why do goalkeeper coaches take the goalkeepers off to the far reaches of the playing area to do stuff on their own? As one of my colleagues calls it, down to ‘Compost Corner’. I can’t believe that it’s because that is the only place the groundsman lets you train on ALL occasions. I’m sure some do it now because it’s what their forefathers did, and their forefathers’ forefathers. And then it becomes the done thing. “Keepers, let’s go” shouts the goalkeeper coach (often with his own gloves tucked into his waistband like a ceremonial headdress) followed by the head down drudge 100 yards into a little area on their own. When they are down there the rest of their team mates, the other coaches and all of those involved have got no idea what is going on, what is being talked about, what is being discussed, how things are being delivered and coached; nothing. In my ten years working in professional football clubs I can very rarely think of any occasions the GK coach came up and told me about what was happening. That could be improved, in both ways. So please fight your corner and be closer to your mates! One of the dangers then that arises from being down in said Compost Corner is that it brings about a different skill set. One of the key ones that I believe goalkeepers need to develop is communication. Providing your back four with information during open play and organising everyone at set pieces is crucial. This requires confidence, leadership skills and practice. This doesn’t just happen easily. By spending a disproportionate amount of time either 1 on 1 with the goalkeeper coach or with a couple of other fellow ‘cats, you miss a massive part of what the game is all about. This is a huge part of their role. In a previous coaching role I had at a professional club, we used to just get the two GK’s back for the game at the end of coaching and then suddenly, as if by magic, hope that they could communicate with their team mates. The same ones that they have barely spent any time with or build strong relationships and bonds with. The younger the GK is, the harder this is also. So please more time developing communication skills and foster teamwork. Depending on the individual club philosophy this will have an impact on the role the goalkeeper plays when your team is in-possession. However, evidence suggests that goalkeeper’s use their feet seven times for every time they use their hands. A 7:1 ratio! That’s a very important stat for coaching practices. Many goalkeeper sessions I see do not reflect this, not even close. I have watched a lot of GK practices over the years and they look the opposite, with a real focus on handling skills and far less on the use of their feet. The modern GK, think Neuer, plays in a different role for his team, being a deep pivot player to recycle play from one side of the pitch to the other. In order to play this role, as the 11th outfield play effectively, they need to be proficient with their feet to a high level. This doesn’t happen from just drop kicking half-volleys into their hands, but more of that later! So please focus on the actual needs of the game, get them playing on the pitch in practices as an outfield player. Playing on the perimeter of a practice, so the game is all in front of them might mimic their role more than playing in the middle of the pitch. Just a thought. Going back to the role a GK plays when in possession, they are crucial if your philosophy is building play from the back and starting attacks from deep. Being able to play high quality passes to team mates, for them to receive on the correct side of their body depending on where the opponents and space to attack is; essential. How much work is done on this in coaching practices down in Compost Corner? How hard do you need to drive the ball (as your pass) if an opponent is twenty yards from your specific target? What if they are fifteen yards? Does it change your decision? What type of pass are you going to use? What’s your best technique? Is one safer than another? What about the body language of the opponent? Where do they look like they are moving next? Are they closing your team mates down on their own or do they have support to press? Are they ready to close down your team mate? How do you know? Where is your team mates next pass after your delivery? If they have one player as a striker, what cues do you observe that make your decision on which centre half to pass to? Add to this the ability for a GK to play a longer pass. Note I say pass, not an aimless punt down the pitch to make it a 50:50, but a deliberate and strategic attempt to pick out a team mate. The good teams will make this part of the game plan and this doesn’t make them a long ball team necessarily. Playing the big striker against the smaller full back gives them a greater chance of gaining better quality possession in the opposition territory than just letting the GK whack it! So please give them loads of time practising this, in game situations, to help them develop the bank of pictures in their heads, learn about the cues and triggers that then provide the answers to the problems in front of them. You don’t get this in isolation and none of that “developing technique” nonsense, that changes every time based on the game so why drill one?! I’ve seen it hundreds of times. Literally. The GK coach standing 15-18 yards from the lone little wannabe GK and the action starts there. Picture 1: The coach drop kicks a ball towards the player for the GK to catch at about chest height. Over and over. For 15 minutes. Picture 2: The GK stands on the line facing backwards towards the coach, waiting for the shout of “YES” to turn round and stop the incoming bullet from the coach. There are many more of these pictures that ‘traditionally’ occur in nearly every session I have seen and I’m sure someone will justify their inclusion. “Because we have always done these”…like our goalkeeping forefathers! So let’s take a quick look at these ‘pictures’ (from my perspective). Picture 1: A drop kick from 12 – 18 yards. Firstly, how many shots in a game occur from that distance? Well, from my knowledge, most goals are scored from one-touch finishes within 8-10 yards of the goal. Shots from 15 – 18 yards are actually mostly blocked, due to defenders being in the way!! So why do we kick balls at the GK in training from that distance?! Further, think about the path the ball takes in this situation. It starts with the GK coach having the ball in his hands. That trigger doesn’t happen in the real game. Then the ball drops vertically over a short distance before being propelled forwards, often at a speed by the coach that the young player wouldn’t face in the game. So, if we think about that level of detail, and it doesn’t happen in a game, why do we do that? Of course, “to sharpen their handling” is often the rationale. But again, correct me if I’m wrong, in a game when they do use their hands it is often several minutes apart and always different to the previous occasion?! Not constant to the same spot. What also makes me laugh in this one is the GK coach often shouts “yep” for the GK to get ready!! When does that happen in a game?! Striker is through on goal and as he is about to shoot gives the goalkeeper an advanced warning! What might be better: put the ball at your feet, move the ball slightly to one side and let the GK react off that cue. Vary where the serve goes in terms of height, every single time. Goalkeeper coaches are excellent at drop kicks to the same place over and over. Incredibly good. But the game doesn’t look like that. Ironically, rubbish servers are probably better because they unintentionally add variety every time! Picture 2: In a game, does the GK ever stand on their line, facing in the opposite direction and have to spin 180 degrees to deal with a shot? Nope, not in my experiences. Do they sometimes have to turn or readjust to something? Yes, but it is always different and links to different cues and triggers that come from the game i.e. a cutback cross and adjusting their feet. We then get the same serve as above, constantly from the same spot to the same handling area. If they are dealing with a cutback or a shot from that distance there are often bodies in the way. The goalkeeper won’t often get a clean line of sight to the ball, they have to move their head fractionally and adjust their field of vision. That doesn’t happen in this isolated practice so further crucial cues and triggers and missed. So the pattern is…there is no pattern!!! When you add to this the pass before the shot/header which also varies from a first time pass, to a cutback to a dribble, everything is different every single time. The game is not consistent and linear, it is random and erratic and our practices need to reflect the demands of the game. I had to fight to get our GK coach to do sessions with the whole team, he just didn’t want to do it. He was far more comfortable down in Compost Corner whacking balls at kids. But that misses out so much great stuff and added value in learning that we could gain. Of course, there is a time and a place for that but in my opinion the split currently is disproportionate to what is needed. We need goalkeepers working with their team mates. We need GK coaches working with the ‘keepers in game situations, during shooting practices and possession practices to make the learning moments authentic, realistic and above all, feel like the real thing. Like being in a real game. They need to deal with shots through bodies and past bodies, where every shot is constantly different from the previous one. If we are going to identify the best talented goalkeepers coming through the pathway we want to see players the meet the demands of the game and we can all think about the practices we use to help this. As I said at the start, this is just my view, through my lens. This is a good article especially for those of us who are goalkeeping coaches. It can be a constant battle for GK coaches to get their GK included more in practises but one that we must fight. I was once involved with a club whose manager told me that our GK was not good at crosses but when asked to provide outfielders for the session refused as they were needed in his session. So how do you improve decision making for the GK without game realistic practises? On the other hand we will still need to go to “compost corner” to work on GK aspects that we can’t do elsewhere. Again depending on your club it can be hard to convince grounds men and management to let you loose on the 18 yard box or another area in order to give realistic reference points. So normally to do footwork, handling and the like you have to retreat to this area. Not ideal but you work with what you have. Personally the relationship between manager, head coach and GK coach is vital. If you can talk and discuss sessions prior to training then the GK can plan his session to lead into the outfield session. This sets your GK up for success and means that the all the coaches know what the GK coach is up to. But more important is that GK coaches evolve with the game. GK need to better with feet and still a classic GK. We need to understand outfield practises and know how to get our practises to lead in to these. Thanks for a good thought provoking article. Thanks for the message and you make some great points. The dilemma of developing goalkeepers and needing players, yet not being allowed them is always a winner!! Brilliant piece Nick Levett – I could’ve written it myself & thankfully I had my ‘ahhhhh’ moment 15 years ago. The 10minute volley to the chest is a common & yet pathetic trait of no planning!! You could’ve added that the majority of shots go past the keeper at waist height & below so why don’t practices reflect this from 8-12yards out? Lines of 18 neatly coloured cones which get the keeper repetitively moving two ways 14 times over 12 yards – never seen a keeper move more than two or three times & preparing for a shot as the ball moves! Coaches putting on repetitive drills & sessions without coaching & guiding & questioning – with GK coaches congratulating the young keepers for their effort but not seeing & challenging the flaws which consistently appear day in day out/week in week out. “Well done” as they spill a shot or let one in!! Get the keepers warmed up & then (20%) & then get then in a rolling ball match drill which benefits them, defenders & attackers eg. A wide player wants to practice crosses (40%) then get them into a game. I rarely big myself up but I’ve used a voice (singing) coach to develop the pitch, tone & projection which worked a treat & introduced Futsal & handball techniques but always had & made things fun & always reflected. Here endeth the lesson & spread the word. Thanks for the message and nice to have an ex-pro and experienced coach recognise many of the issues. You quote a few more belters in there that could be added to the list as well! Love the bending down example!! Cheers Nick, good piece. Many valid points in there. I’m a little old-school in that I do think the GK needs individual time but without doubt, not enough GKs are working with the team and getting tactical/decision making sessions in. But overriding all of these good points, in my opinion, is the need for the GK coach to a) have a strong relationship with the GK, b) for the GK coach to have excellent analysis/correction skills, and c) to have excellent communication skills. GKs need to feel understood and need to feel like the coach is helping them grow. My experience has shown me that even the best GKs are fragile at times and these things give them the environment in which to feel secure in making mistakes and learning from them. Thanks again for sharing!! Thanks for the comment. Certainly agree about the need for relationships being built but this can’t also be at the detriment of a young person working things out for themselves or making their own decisions. I watched a GK coach at a professional club in the Nike Cup last year, in the semi-final, walk down the touchline to line up the wall for a U14 ‘keeper. So when they release that lad for having “poor decision making” I wonder if they are reflective enough to work out that they were the problem!? Any good coach should develop a feeling of security, solid understanding and use of attachment theory is essential, and you make a great point about the nature of the position possibly leading to more fragility. Fascinating piece and a very harsh truth that many sadly do not want to hear one fears!! The same can also apply to drills where ‘keepers are forced into making 3/4/5 movements or saves and a random push up/sit up one straight after another: it may work from a fitness perspective, but how often in a match is this going to be necessary..!? It seems hard for coaches to justify this mid-way through seasons where emphasis surely should be on technical correction and recovery sessions. I’ve also dropped you an email briefly about a new project we’ve got going on too – it’d be great to hear back from you on that and see if you could help in any way! Thanks for the comments Adam, that’s another great example you quote of something a bit bizarre that goes on in the GK world!!! Hi Nick, fantastic article which I thoroughly enjoyed reading. I first read this article about 4 weeks ago and identified a couple of areas you pointed about which needed rectifying. Since reflecting on these changes I’ve found my sessions more appropriate and game related. It was just a couple of tweaks rather than wholesale changes but have really made a difference. Some of the changes were just practices picked up throughout my years of training over the last 20 years but needed to be related to the modern goalkeeper. Again a great read, thought provoking and hope other keeper coaches have taken these comments on board too. Thanks very much for the feedback and delighted to hear that a few of my random thoughts have helped your practices. The bravery it takes to make changes to practices (especially when things have been done the same way for so long) following reflection is great and a credit to you. Really appreciate you sharing. 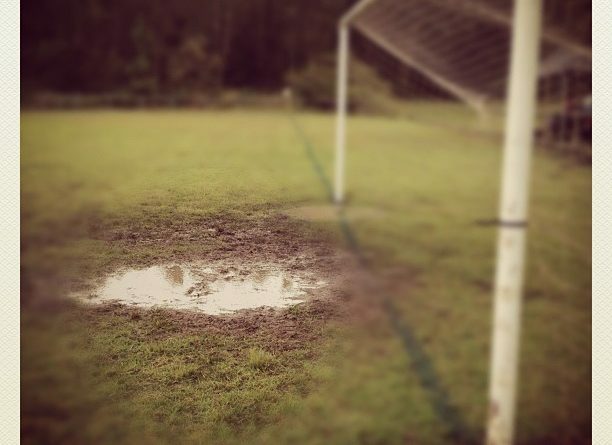 Your comments on the poor state of goalkeeper coaching are perfectly on target. I’m retired eleven years ago from a long business career and became a volunteer high school goalkeeper coach eight years ago. I started a goalkeeper training academy in my area two years ago. The following links will give you a sense of my background and coaching philosophy. I became a goalkeeper at age 14 having never seen a soccer game. I was a year too young to play high school football, so I went out for soccer to stay in shape. I was told to be a goalkeeper because you did not know anything. I fell in love with the position and played for ten years. Goalkeeper coaching was not available when I played in the 1940’s and 50’s. I convinced my college coach to allow me to develop my own training program. I did not care about how many goals I gave up in practice, it was important to experiment and test my limits. I’ve carried this approach forward to my current coaching. I emphasize self-confidence and leadership in addition to teaching skills. I never ask my young keepers if they won or not, but only if they did their best and extended themselves. I’m appalled by the lack of goalkeeper integration into the team practices and the almost complete absence of a real game experience. I’ve passed your site along to other like-minded coaches as an inspiration. There are reasons why the standard of goalkeeping is poorer now than it has been in a lot of years- namely poor “coaching” which equates to just working the goalkeeper hard until they are at the point of collapse, as well as too much integration into “team training”. For me, there has to be a mix of what was covered in this article, as well as specific GK technical coaching on a 1-1 basis with the GK coach. Its an individual position with a different skill set that needs time and a controlled environment to develop the skills needed. If you go too much either way, then either the technical skills suffer, or the integration with the team suffers. Theres an obsession in the modern game with getting GK’s to be great outfield players- personally I prefer goalkeepers to make saves first, and be footballers 2nd. My national association wants all goalkeepers to train with the outfield players rather than with specific GK coaches, working off the theory that in one EPL game, Hugo Lloris touched the ball 47 times with his feet. What they failed to point out was that Tottenham lost that game 2-0 owing to 2 individual technical shot stopping errors by their goalkeeper. Little point playing like an outfield player if you stop shots like one too. In conclusion- yes, this article is correct, but also, the very thing they go against in the article is also correct. Everything in balance with time for both, and better GK’s are the outcome. Brilliant read Nick, one that as I began to read I really started to identify with. As the GK’s regularly go down to ‘Compost Corner’ one night a week (I’m going to try myself to better understand what goes on there), the other night a week they spend with me – I’d really like for them to spend time as an outfield player in the practices but at the same time don’t want to starve them of the opportunity to develop those communication skills and build their understand of how to play out from the back that they will only get from playing as a goalkeeper within those practices? It’s a difficult balance to get right. Nick a great thought provoking article for those that understand GK coaching and those that don’t. I try to get some these messages across when tutoring GK courses to make sure outfield coaches that come on my courses understand the value of developing the whole team with the GK. Getting time with the GK and outfield players though is often a different matter altogether ! Thanks for the comment. I can imagine the challenge of getting time together is an ongoing one in many places, as you suggest!